Want to check out the latest Android firmware for Samsung devices? We have just that for you below! Check this tutorial on how to flash ROM updates onto your Samsung device with Odin3 and you are good to go. Enjoy. It would not be the first time that a Chinese OEM has beaten the likes of Samsung and LG in being the first smartphone to sport the most powerful flagship chip from Qualcomm for the year. LeEco had done it before and it looks like Xiaomi could be doing the same in 2018. According to a latest rumor on Weibo, the Mi 7 will be released in January and probably before the S9 or the LG G7. Now, one needs to keep in mind that a separate rumor has predicted that both the flagships form LG and Samsung will also be making appearances in January-February. Yes, things are getting very confusing right now, but what can be said for certain is the fact that all the three handsets will be powered by the Qualcomm Snapdragon 845 (unannounced) SoC. According to the rumor, the Xiaomi Mi 7 could also be sporting a 6-inch OLED panel and 6GB/8GB of RAM. 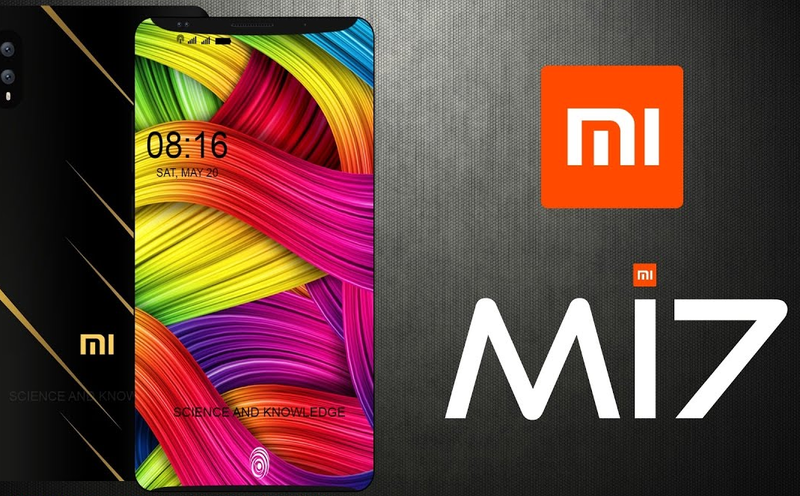 Since traditionally, Mi flagship range phones have all been rather small, we would have to guess that either the rumor is misinformed or Xiaomi is going for a borderless display, just like the S8 or Xiaomi's own Mi Mix 2! iMobie Inc. is a renowned developer for Android and iOS, who are best known for creating and launching the popular AnyTrans Manager. AnyTrans is capable of managing and transferring data from any Android or iOS device to Windows PCs and other iOS and Android devices as well. 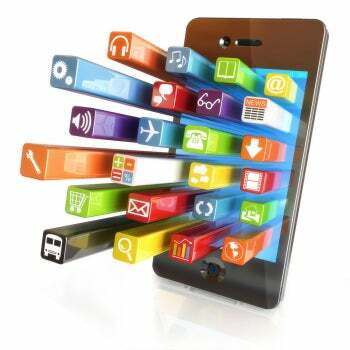 Data that a user can transfer with the help of the software include messages, photos, contacts, videos and even applications. 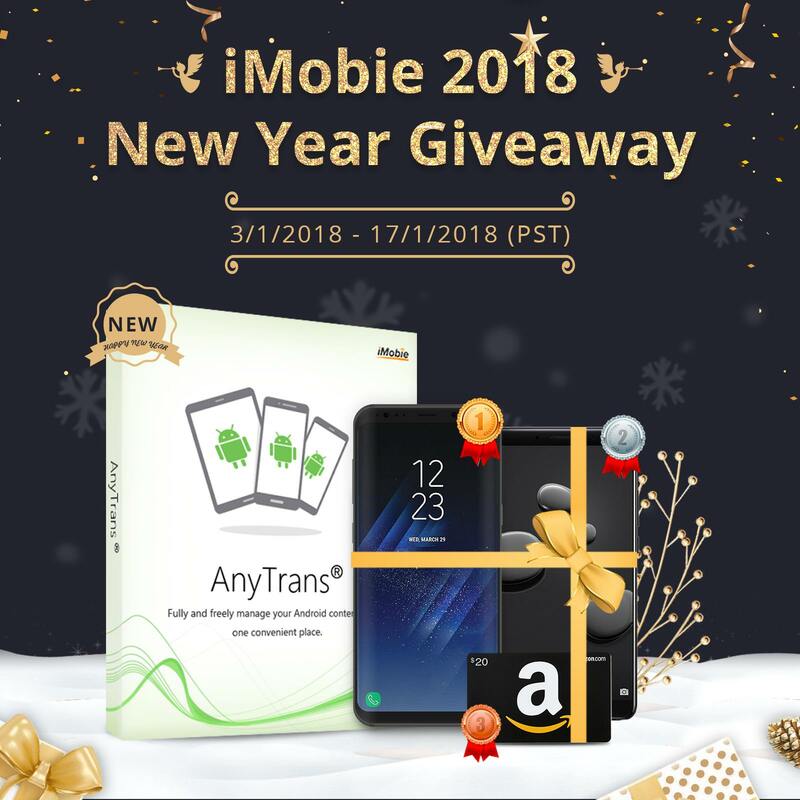 If you thought that the ease of transferring data across different platforms from any source device was impressive, you are about to be very pleasantly surprised because iMobie is giving away copies of AnyTrans Android Manager worth $39.99 for free to all users around the world in-between Jan 3, 2018 to Jan 17, 2018. As if giving out a premium software for free wasn't enough, iMobie has also announced that everyone will 100% get AnyTrans for Android for FREE and have a chance of winning either a Galaxy S8 or a Huawei Mate 10 or any of the 5 Amazon Gift Cards. To download and start using it for free, as well as the chance to win a Samsung Galaxy S8/ HUAWEI Mate 10 / 5 Amazon Gift Cards, click here right now. The introduction should already give you a rough idea of what to expect but in order to understand why getting AnyTrans Android & iOS Manager for free is such an unbelievable deal, you will need to consider all its features as mentioned below. 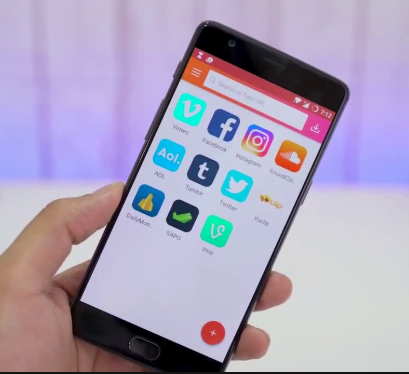 Not only can you use AnyTrans to send contacts, photos, videos, messages and apps from iOS to iOS and Android to Android but also from iOS to Android or Android to iOS. Add this to the fact that exchanging data in-between Windows powered PCs and iDevices or Android devices is just as easy and the software will become your single, all-purpose transfer agent for just about everything. One would not really expect this feature to be part of a transfer app, but iMobie has decided to endow their flagship software with everything. With the help of AnyTrans, the user can download videos and music directly from nearly 1,000 websites! Best of all, you can do so from your computer, Android tablet, iPad, iPhone or Android phone. This includes, TV shows, uploaded videos, movies and lossless music. A simple drag and drop interface makes the transfer process easy, fast and seamless, while allowing you to do more. For example, you can edit contacts from your phone before transferring them or add albums for separating your photo sets. If the chance to win a brand new Galaxy S8 or Huawei Mate 10 got you excited, then know that you are not the only one! Our advice would be to hurry up before the last date on January 17, 2018 is over! 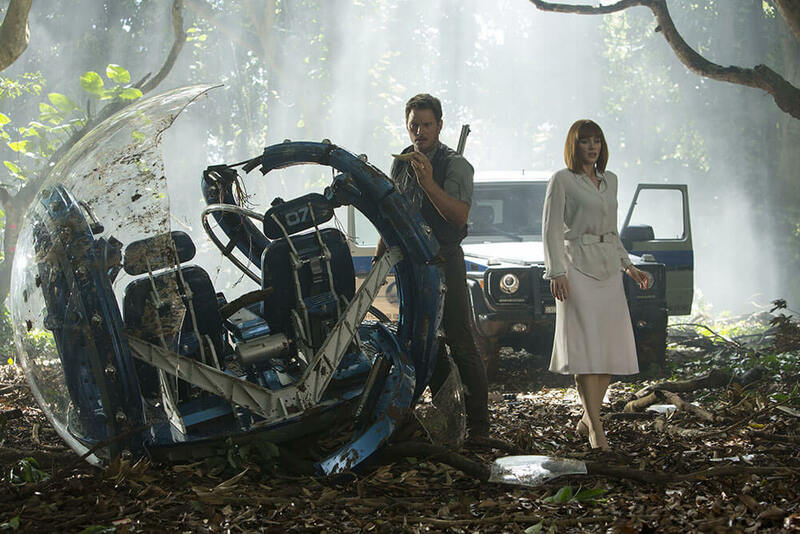 Jurassic World 2015 movie was released more than a month ago starring Pratt, 36, and Howard, 34 in an epic movie that continues the events from the last Jurassic Park movie. The movie has already earned $1.5 Billion in the box office worldwide. After this huge success, Universal Pictures decided to release a sequel, Jurassic World 2 will hit theaters on June,22nd 2018. 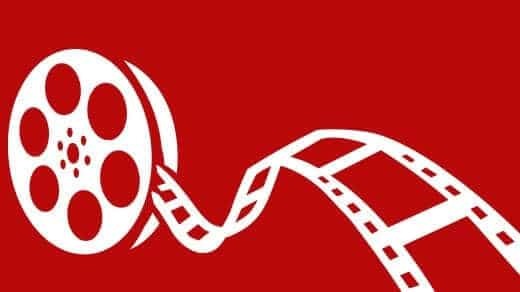 Spielberg will return as an executive producer and Jurassic World screenwriters Derek Connolly and Colin Trevorrow, who also directed the film, will pen the script to the sequel. An official title for the sequel has not been revealed. According to a confirmed reports from Korea, Samsung partnered with 13 companies and the South Korean government to develop the World's first 11K mobile display with a pixel density of 2250ppi and a resolution of (11264 x 8448), which takes the Smartphone displays to an Insane new level of clarity. This 11K display needs a super GPU to handle this kind of High-res Graphics. The Korean giant is going to invest $26.5 million into the R&D of this new 11K display. 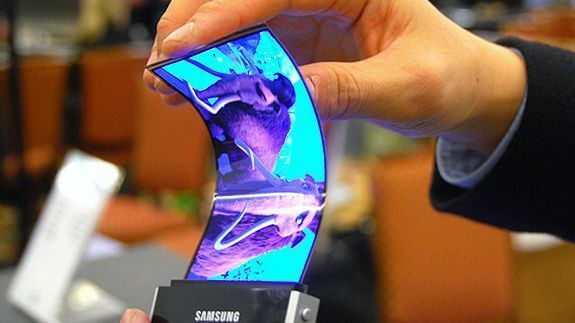 According to the Executive Director of Samsung Display, this might look like "over specification", but the breakthrough would help the Korean industry in the future. 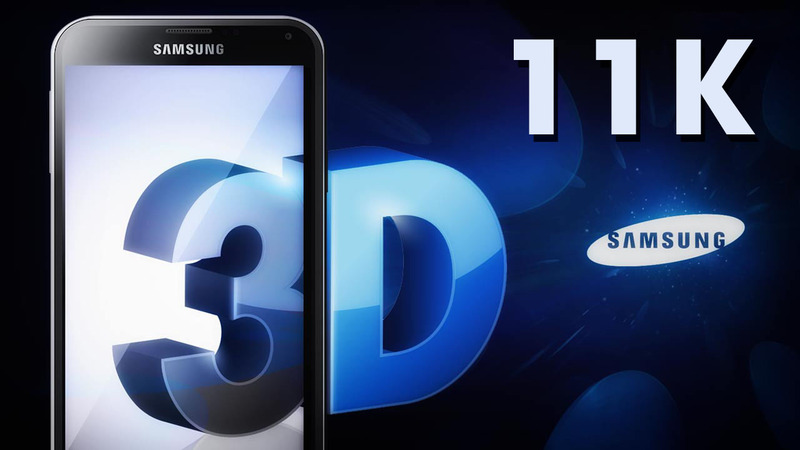 Samsung's goal with this is to implement a "3D effect". Details are scarce, but the way Korean outlet ETNews puts it, such a gloriously high-resolution screen is able to simulate the effect of a 3D screen through some kind of optical illusion. This 11K display panel will be available by 2018 in the company's flagships. Is this the Galaxy A7 (2018)? The Galaxy A7 (2017) edition was released just a few months ago and it's usually way too early to be seeing any traces of the upcoming Galaxy A7 (2018). However, it looks like we are wrong in thinking so because the A7 (2018) has apparently made an appearance on GFXBench! Not only has it made an appearance, but the show has clearly revealed most of its key specifications as well. Do check the screenshot out to know more on what we are talking about here. I will admit that it's kind of strange to see the leak so early, but this seems to be authentic. The Mali-G71 GPU is good news though because it is the same one that's powering the Exynos 8895 within the Galaxy S8 at the moment. If true, the it will mean great gaming performance and 4K video recording capabilities, provided that Samsung doesn't cap the camera's capabilities or the A7 (2018) isn't limited by the sensor's imaging capabilities. Samsung is actually not that far away from launching the Galaxy A (2018) series because the year 2017 has already sneaked nine months past us quite stealthily. However, it is still not the right time to be seeing full-fledged leaks yet. 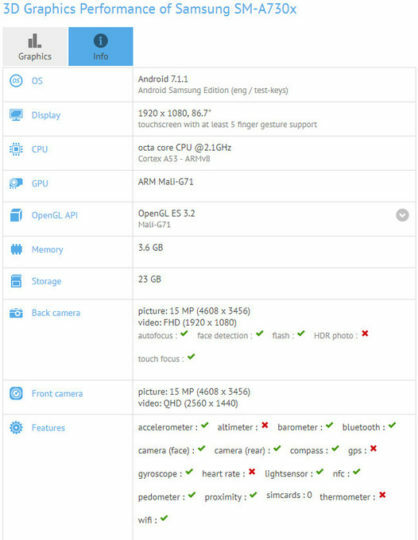 Nevertheless, even before the rumors regarding the Galaxy A (2018) series has even begun, we have a spec leak on our hands that originates from Geekbench. It isn't too revealing but it does show us a few things about the A5 (2018) and confirms what we knew already, which is the fact there will indeed be a Galaxy A (2018) series after all. 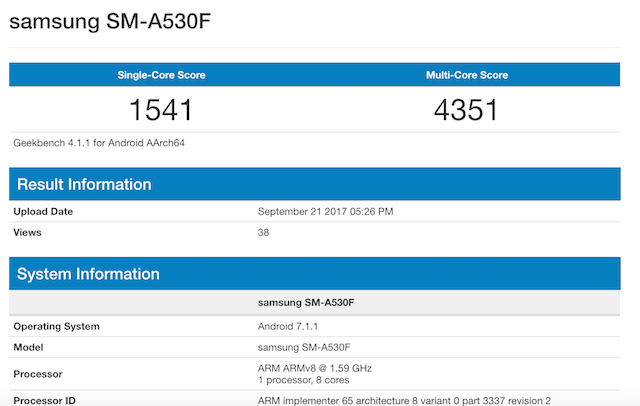 The Geekbench test results are quite impressive for a mid-range handset and while its no Exynos 8895, it looks like the new Exynos 7885 processor can hold its own. Check out the specs and Geekbench scores below. 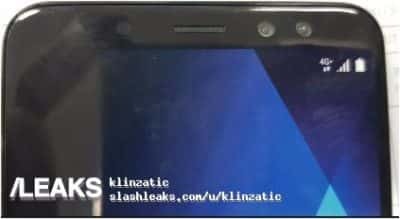 A photo has surfaced yesterday which claims to be a live shot of the Galaxy A7 (2018) in hand. It is neither hard nor uncommon for people to manipulate existing smartphone models and make them resemble an upcoming model by following rumors, but whether that is the case here or not, we will let you decide for yourself. True or not, what we can see in the picture is quite promising. It looks like the Galaxy A7 (2018) will sport two dual cameras and an 18.5:9 Super AMOLED display with Full HD+ resolution. Early rumors had indicated this and more. According to other reports, the phone may also sport the 1.6GHz 7885 64-bit octa-core SoC, 6GB of RAM, a single 16-mp rear shooter and a 3,600mAh battery to power it all. In case you are wondering, the image was leaked and published by SlashLeaks; the famous leakster. We will now have to wait and see if the rumors and this image matches up to the original device on release. In spite of previous reports suggesting that Samsung might primarily concentrate on launching its new range of ultra-premium QLED TVs at CES 2018, new reports are suggesting that Samsung will not go to the CES 2018 empty handed in the smartphone department. If you were hoping to see the Galaxy S9-series being launched at the show, you will likely have to wait till the Mobile World Congress 2018 in February, but we may still get a teaser trailer. What may very well happen however is that Samsung might launch the much awaited and rumored Galaxy A8 and A8+ at the Consumer Electronics Show. Additionally the Galaxy J2 (2018) may or may not make an appearance, but we are pretty much sure that the Notebook 9 (2018) series with its S-Pen compatibility will definitely be showcased. 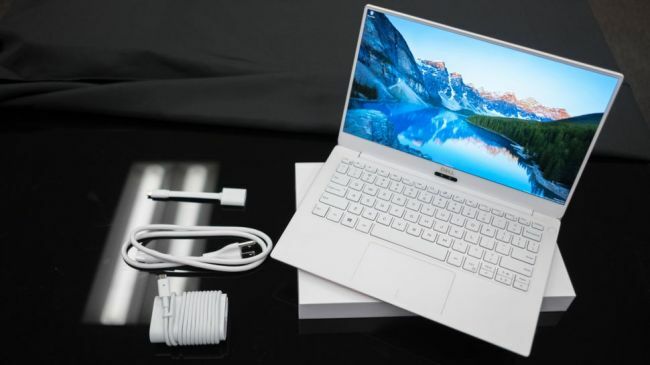 This new Notebook 9 (2018) series of laptops with 8th Gen Intel processors, 16GB RAM and 1TB HDD was just launched and is Samsung's most powerful laptop till date. Although it's not really anything new because all rumors and leaksters had been saying the same thing for a long time now, but it's still worth mentioning because this is the first time that this has become official; The Galaxy S9 and S9+ will be unveiled at the Mobile World Congress 2018 in Barcelona next month. 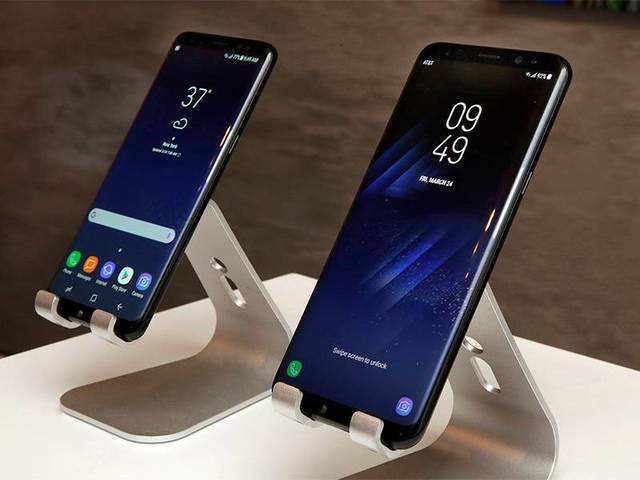 As this plan was revealed by the head of Samsung Mobile, DJ Koh himself at the CES 2018 earlier, it can be considered as authentic news without a doubt. While we are yet to see any convincingly real live images of the device, you should not expect the S9 or S9+ to sport any radical changes in terms of the design language. They may look quite similar to the S8 and S8+ in fact, with perhaps the exception of the rear mounted fingerprint scanner that will in all likelihood be moved to the center of the back. Also, Samsung might copy Apple (that it has so often been blamed for doing) and reserve the dual camera setup only for the bigger and more expensive S9+. We will find out more soon so stay tuned. The results are in and Samsung is still the number one manufacturer and supplier of smartphones in the European region at the end of Q1, 2018, with Apple coming in second. Apparently, Samsung managed to ship 15 million units during the last quarter, while Apple managed to sell only about 10 million smartphones. At a time when smartphone shipments have fallen by as much as 6.3% (YoY comparison), it could have been commendable that the Korean company has still managed hold on to the number one position, had it not been for the fact that they have actually slipped by 15% from last year! 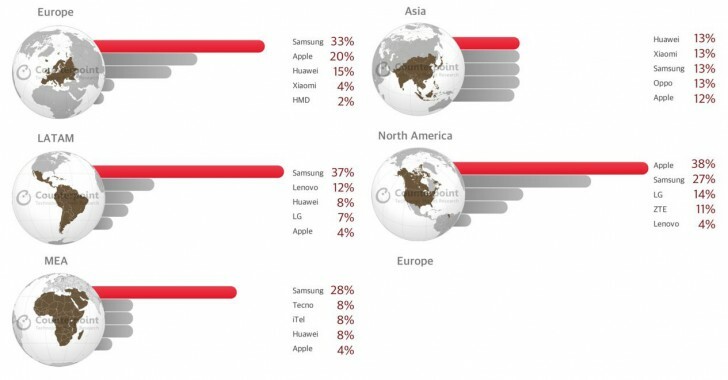 Market share of Apple on the other hand, fell by 5.4%. What is more interesting is the fact that even in a high-profile region like Europe, Chinese manufacturer Huawei has grown by a whopping 38.6% by shipping 7.4 million smartphones in the region during this quarter! Not that Huawei wasn't already a force to reckon with, it's just that the rate at which the company is growing in the international market is quite amazing. There was a time when the only real competitor Samsung had was Apple, but those times have changed and they have changed a lot. Make no mistake, Apple is still Samsung's biggest adversary in many ways, but the Cupertino giant is no longer the only concern for Samsung as Chinese manufacturers like Xiaomi, Oppo and Vivo are taking the market by storm by offering high-end hardware at competitive prices. 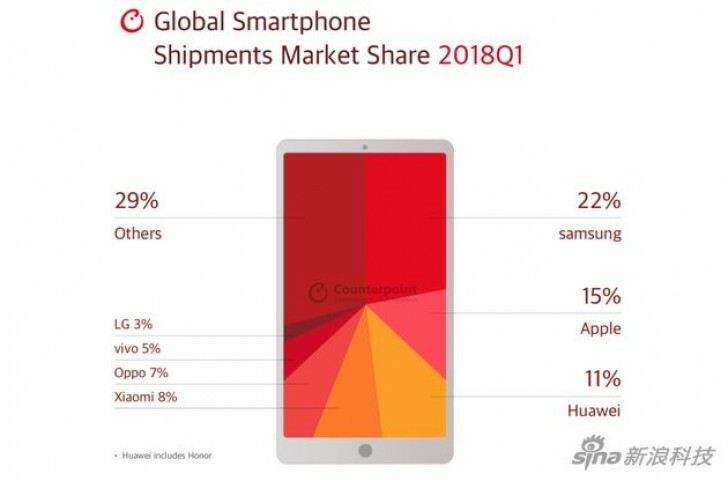 Nevertheless, even amongst so much speculation, Samsung has managed to hold the number one position as the leading smartphone seller at the end of Q1 2018. The stats are not as impressive as they once were and in certain markets, Samsung has clearly lost a lot of business, but even then, the Korean MNC is still the global leader in total smartphone sales across the world. Check out some of the stats below, as presented by the analytics farm Counterpoint. In about a month's time, one of 2018's biggest consumer electronics events is going to start from January 9 and last till January 12 and it's about time that we took a look at some of the most expected appearances at the show. Smack dab in the middle of the venue, Google has already booked a huge booth for the show. While a lot of experts are of the opinion that the Pixel 2, Pixel XL, Daydream View, Google Home and the Google Home Mini will be on display here, there's a chance that the search engine giant may also showcase the newly launched PixelBook. It's basically going to be a place to show off "Made by Google" hardware. 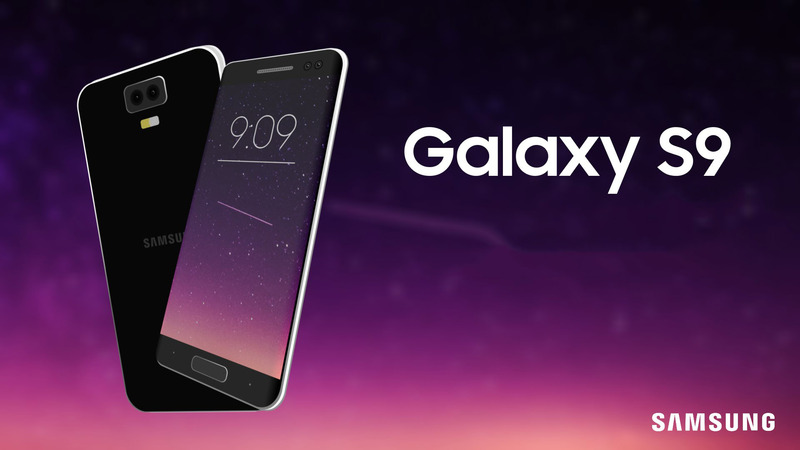 Aside from a 150-inch Home LED Display, a new series of MicroLED TVs and an updated range of QLED TVs, the Korean tech giant is also expected to launch a teaser trailer of the Galaxy S9 and S9+. Other rumors regarding the company's possible showcases include a few new smartwatches and a foldable smartphone, aka the Galaxy X. 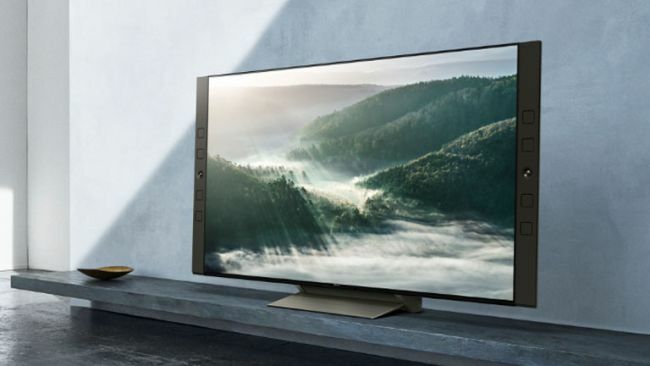 To keep Samsung on its toes, LG will likely drawing the curtains off its new range of 4K OLED TVs, which will most probably be the B8, C8, G8 and the W8. A new range of mid-range smartphones will also make their appearances at the show, but we are not sure about the LG G7 yet. We don't know what else the company is bringing to the table, but a standalone Daydream VR headset is almost surely going to be there. A new range of Bravia 4K OLED TVs and 4K HDR projectors are on the cards at this invite-only get-together by Sony. The Dell XPS 13 2017 Edition is going to make its official debut at the CES 2018 and it looks to be one very beautiful, thin and classy laptop. If we missed something then it's likely because a lot of events have not been disclosed yet, but do feel free to let us know in the comments about what you are looking forward to the most in next year's Consumer Electronics Show at Las Vegas. 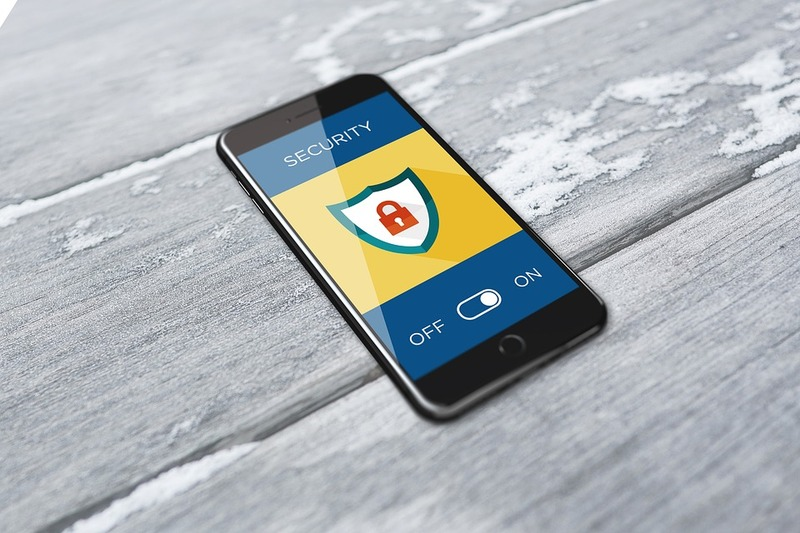 Google says the Android platform is more secure than ever, although there has been an increase in the number of potentially harmful applications (PHAs). In its latest Android Security & Privacy Year in Review report for 2018, Google says threats continue to be observed in apps that are pre-installed or are packaged in over-the-air (OTA) updates. 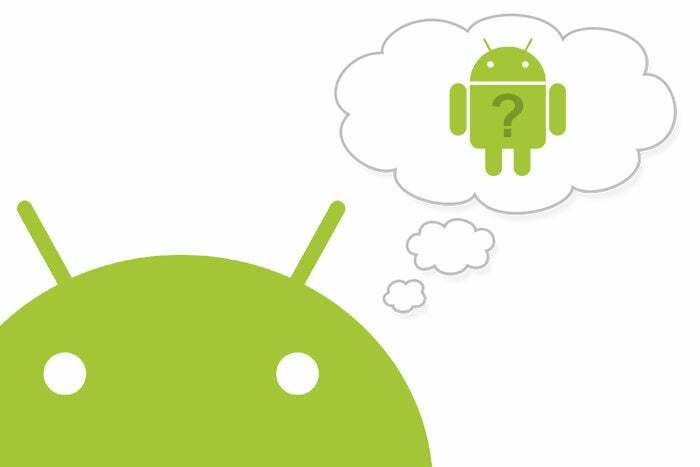 Android security has been a consistently hot topic through the history of the platform. Google's OS has often suffered from breaches in security, mostly delivered to smartphones through apps and browsers. Needless to say, security problems can cause problems when you are trying to enjoy bonuscode.my on your device browser or performance simple everyday tasks. 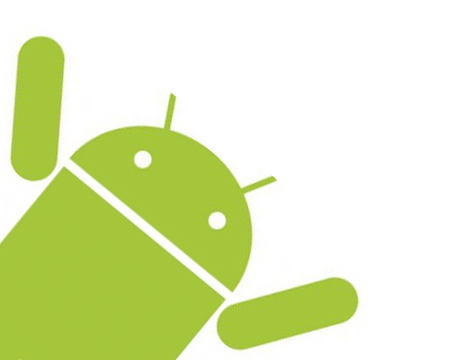 Google has often defended Android by saying the operating system is completely secure in its stock form. The problem is OEMs take the platform and add their own services and UI touches to it, often compromising Google's own security mitigations. This problem is made worse by many OEMs delaying security patches and system updates for months. 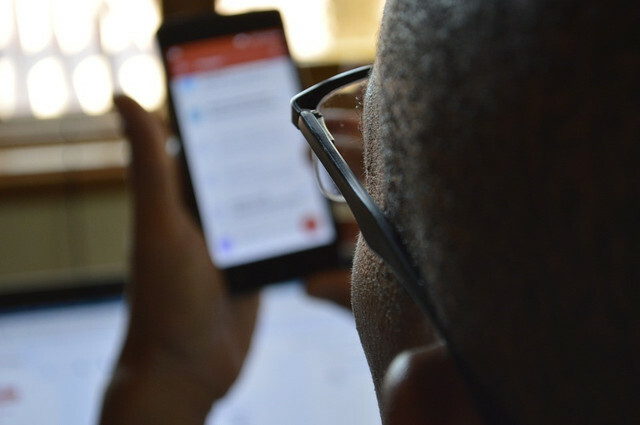 Over the last five years, Google has published its Android Security & Privacy Year in Review, which details the threats and vulnerabilities that have impacted the OS. In 2018, the company says a rise in PHAs caused the biggest cause for concern. "Malicious actors increased their efforts to embed PHAs into the supply chain using two main entry points: new devices sold with pre-installed PHAs and over the air (OTA) updates that bundle legitimate system updates with PHAs," wrote Google in its Android Security and Privacy Year in Review 2018. 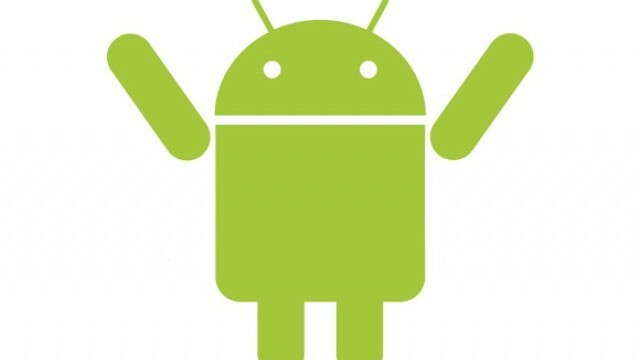 Despite a rise in PHAs, Google says the number of those threatening applications landing on Android devices actually declined by 20 percent last year. Indeed, just 0.08 percent of all Android devices were affected by PHAs during 2018. While this is impressive, it is data that should be taken with a pinch of salt. The problem with Google's annual report is that it only charts applications that were downloaded from the Google Play Store. Sure, most apps end up on Android devices via the store, but there are other stores and places users can download apps from. Google does not keep data on PHAs from these less secure services. 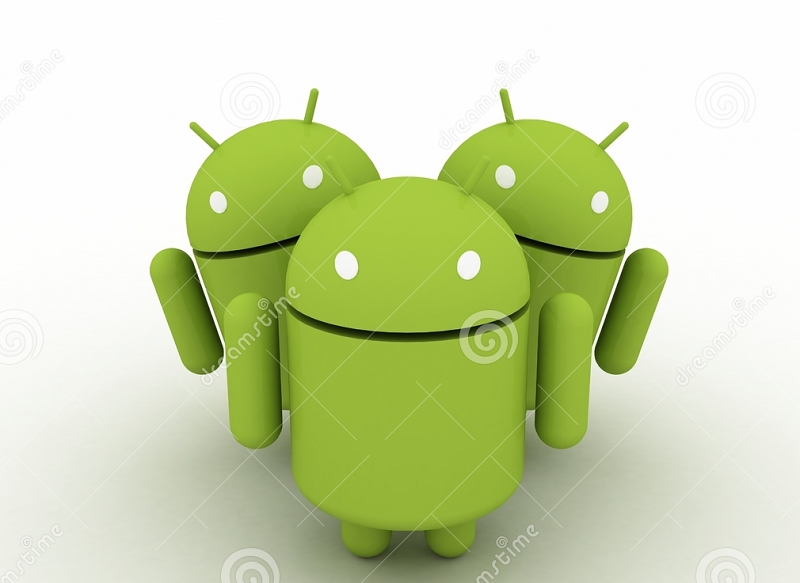 It is also worth noting that Android is now on over 2 billion devices around the world. 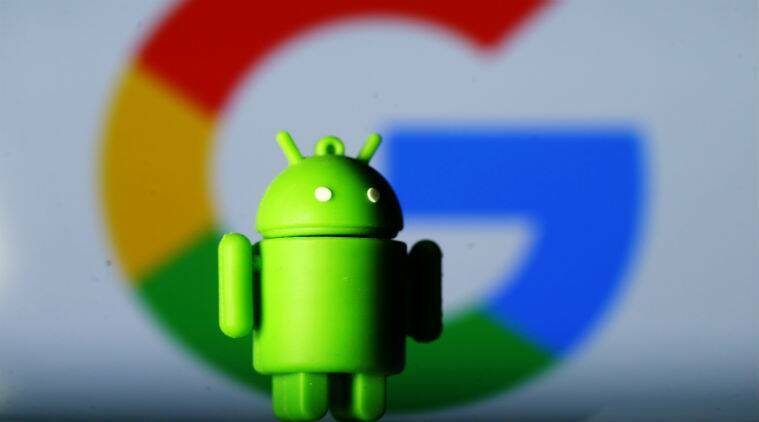 That means 0.08 percent of devices Google says were affected by PHAs in 2018 amounts to over 1.6 million smartphones affected, a pretty large number. In terms of specific regions, Google says India has shown a security improvement on Android devices. In the platform's "biggest market", security threats and exploits are frequent, but improvements are being made in India. For example, Indian Android devices became 35 percent cleaner throughout 2018 compared to 2017, with only 0.65 percent of handsets affected by PHAs at a single time. In fact, Google says Indonesia is now the leading nation in terms of PHA spread. 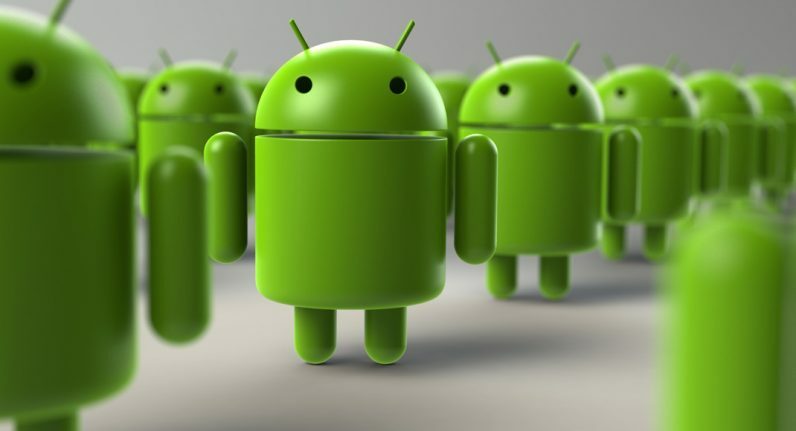 Despite steps in the right direction in India, the country remains the most likely to receive Android trojan attacks, with 22.4 percent of all global cases. Apple is planning to launch three new iPhones this year and they are all going to be borrowing design elements from the current gen iPhone X, according to famous Apple leakster and KGI Securities' analyst Ming-Chi Kuo. All of what you are going to be reading next, comes from MacRumors and is backed up by ET News from Korea. There will apparently be an iPhone X (2nd Gen), iPhone X Plus and an iPhone X SE. The 2nd Gen iPhone X will be exactly the same as the current one in terms of display and form factor, but with more updated specs. The iPhone X Plus will sport a much larger 6.5-inch display, but the rest of the internals will probably match the iPhone X (2nd gen). The iPhone X SE will serve possibly as a low-end device in the middle with its 6.1-inch display. The batterie on these three devices are expected to be 2800mAh, 3,400mAh and 2,950mAh for the iPhone X, iPhone X Plus and the iPhone X SE respectively. If you think that the iPhone SE sounds perfect, you would be unpleasantly surprised because despite sporting the same form factor as its more premium brothers, it won't have an OLED display, 3D Touch or even the dual camera setup. The already ridiculously expensive Apple phones are going to become even more expensive in 2018 with the iPhone X starting at $1,000 and the iPhone X Plus from $1,200 possibly. The "cheap" iPhone X will start at $700 - $800 in all likelihood. 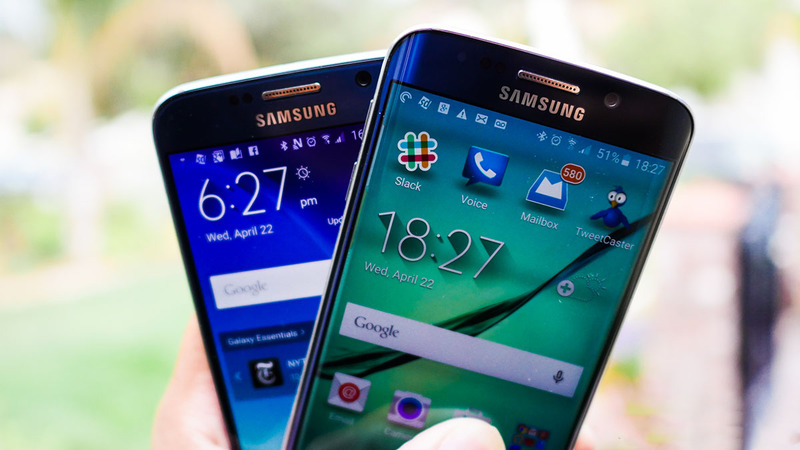 If you thought Samsung flagships were getting expensive, it's time to rethink the situation! It's hard to believe but the second month of the new year is about to come to an end in just a week's time! Time does fly and as always, we advise our readers to make the best of that time by playing as many games as you possibly can! These eight will likely keep you busy for the entire month of March as well, but in case you are looking for some online casino games, we recommend that you check out the reviews of the best online casinos first, before actually playing on any of them to make sure that, you are getting the best online gaming experience that you possibly can. Nowadays online casino canada offers you quality reviews written by real players, so you will know for sure which game to play on your smartphone or tablet and win big bonuses. On a serious note though, here are eight of the best Android games for the month of February that you should definitely check out on your tablet or smartphone. Geometry Dash is not a new game and the latest addition to the series is more about a refreshing new look, different levels and a new soundtrack than a sequel really. Nevertheless, the completely free-to-play (No in-app purchases) platformer/runner is one of the better releases of the month. This little MOBA/hack-n-slash title comes from Yodo1 aka the publisher of Crossy Road, and although it's still in beta, this one looks like it could shape up to be one of the better games in the genre. 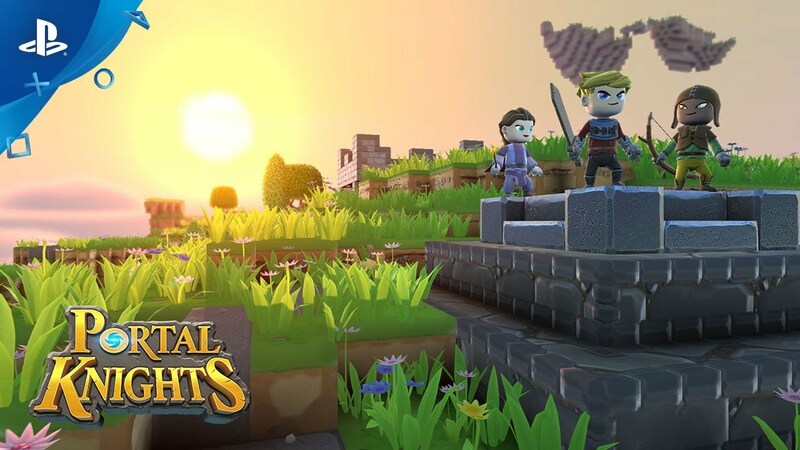 Portal Knights looks quite amazing for an Android game, so that's an instant plus, but there's more to it than just looks. 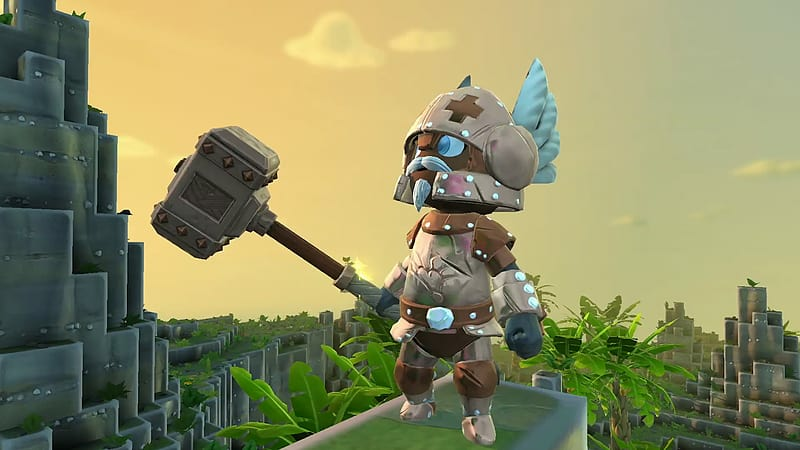 The sandbox RPG features crafting, loot, combat mechanics and even local multiplayer via Wi-Fi. The pixelated art style and the seemingly linear gameplay may seem boring but once you start playing it, it's actually quite an engaging arcade fighting game that simulates the boxing games of the 1990s quite accurately. We do prefer games that ask for one-time upfront payment rather than milk the free-to-play but pay-to-win model, and Rusty Lake Paradise is a fine example of that done well. It's the latest story heavy, point-and-click adventure game in the Rusty Lake series that's easy to play and nice to look at. Do you like SEGA Forever games? 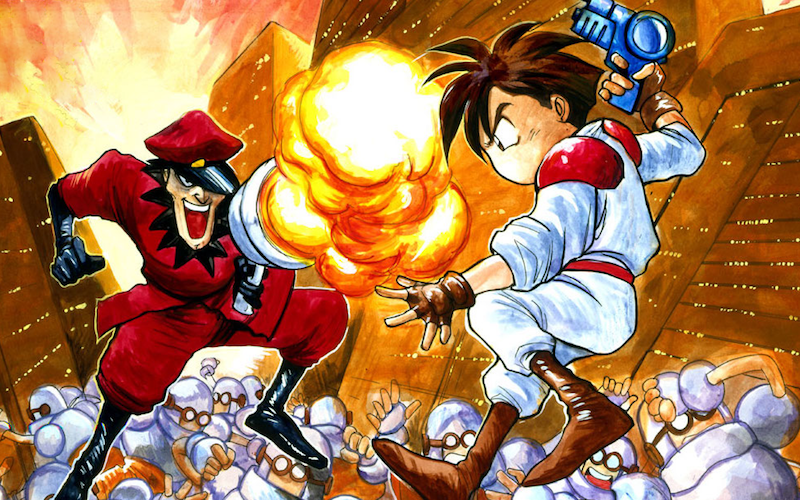 If you do, then you will really like Gunstar Heroes. The action-platformer is a classic and since most of the modern games in the genre are inspired by games such as these, you can expect to have a wonderful time with it. Just hook up a controller though because that's how it was meant to be played. Lord of Dice mixes up both MMORPG and strategy elements together and it executes both pretty well. The anime-style artwork is nice to look at and the gameplay is satisfying enough. Another RPG makes its way onto this list as Dissidia Final Fantasy Opera Omnia was released for Android smartphones this month. As it is with most Final Fantasy games, there's quite a bit of backdrop to all the characters and there's definitely a strong story for the player to follow while levelling up in single-player and occasionally battling it out on the multiplayer mode. Traditional gaming, also known as games played on a console, computer or TV, are still quite common today, though mobile gaming is fast taking over. 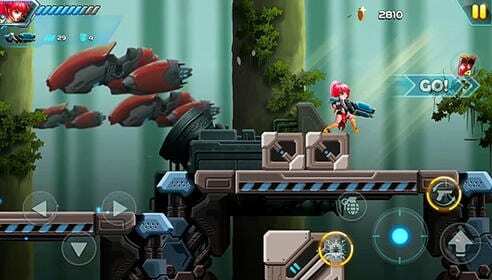 Mobile gaming is on the rise simply because we already use our phones for everything nowadays. 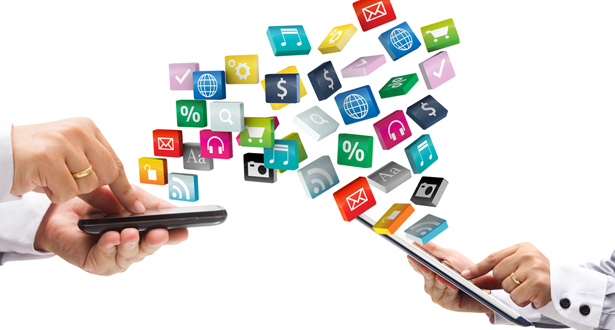 Mobile apps have changed the way we function in our everyday lives. From ordering food to shopping online to keeping a running grocery list to checking account balances. No matter what, there's an app for it! It's no different when it comes to gaming. According to Business Insider, the mobile gaming industry is projected to reach $52.5 billion and will make up 45 percent of the total worldwide gaming revenue. Here are the best mobile game apps for your Android phone in 2018, so that you too can take part in this rapidly growing way of gaming. 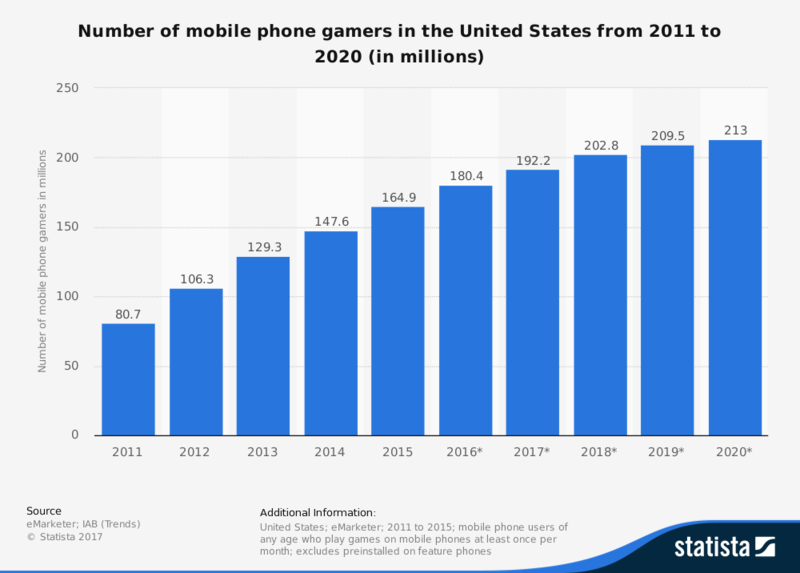 The number of mobile gamers in the U.S. has steadily increased over the years. Minecraft is a super popular game all over that appeals to people of all ages. Minecraft is made up of a massive world that you build, where you can mine stuff, build stuff and try to take down the bad guys. There is a survival mode where you must mine your food and resources to survive and a creative mode that gives you unlimited access to everything. You're also able to play on multiplayer servers with people on your PC or gaming console. The app is always updating with lots of new possibilities and content. What epic Warcraft hero will you be? Hearthstone: Heroes of Warcraft grew to popularity in 2014 and remains one of the best Android games to date. 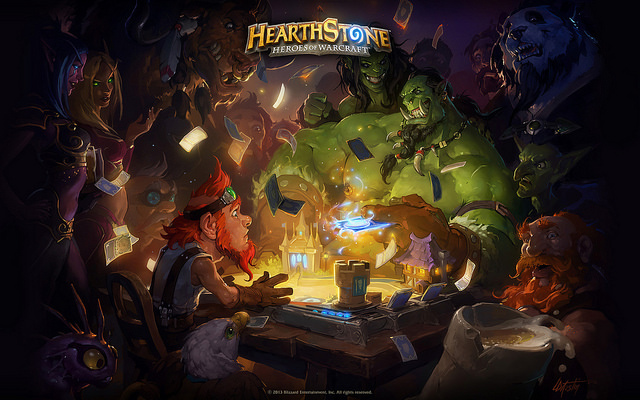 Hearthstone: Heroes of Warcraft is a digital strategy card game that anyone can play. Players can choose one of nine epic Warcraft heroes to portray, and then take turns playing cards from their customizable decks to cast potent spells, use heroic weapons or abilities or summon powerful characters to crush their opponent. Players can choose to play against the AI, random players or their friends. Though initially, Hearthstone was only available for Windows and Macintosh, it was later available on tablets and smartphones. 888 Casino is a popular online casino that houses over 270 high-quality games for you to choose. Now, you can take 888Casino with you on the go with their mobile app. You can enjoy the best mobile casino experience with a huge variety of live casino games, over 100 different slot machines and numerous baccarat, and roulette tables. You can play free blackjack as well. Whether you are playing from home, on your lunch break at work or in the back of an Uber, you can enjoy Vegas-style entertainment conveniently from your smartphone. Catching them all on Pokémon Go! Pokémon Go exploded in July 2016. 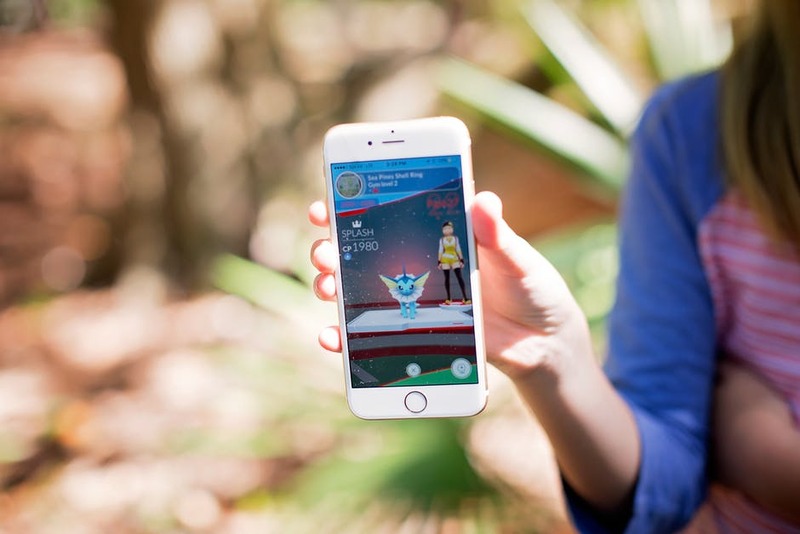 An augmented reality game where you walk around the real world, catch Pokémon, battle for Gyms and visit PokéStops to restock items. Players create an avatar, which moves within the game's map as the players move in the real world. Players earn experience points for various in-game activities and can rise in level as they earn points. When you play The Sims, you're able to create a Sims and customize everything from their personality and outfits to their appearance. You can build your Sims a nice home, complete with gorgeous designs and decor, with more detail than you've ever seen on a mobile before. Party with friends, shop around town and even have your Sims accomplish some of their life goals. The Sims is a perfect game for teens and up where you can show your creativity while also telling a story. Roblox is a massive multiplayer gaming platform, built by gamers, that allows users to design their games. For users of all ages, Roblox is sometimes compared to Minecraft because it is an app that hosts virtual world games constructed of Lego-like virtual blocks. Everything in Roblox is user-generated, and players can create a massive theme park, work in a pizzeria, feature in a fashion show, become a superhero or build a dream home and hang out with friends. In this digital world, imagination is everything. Roblox also allows you to connect with your friends online using in-game chat features, private messages and groups. 8 Ball Pool is the world's number one pool game. 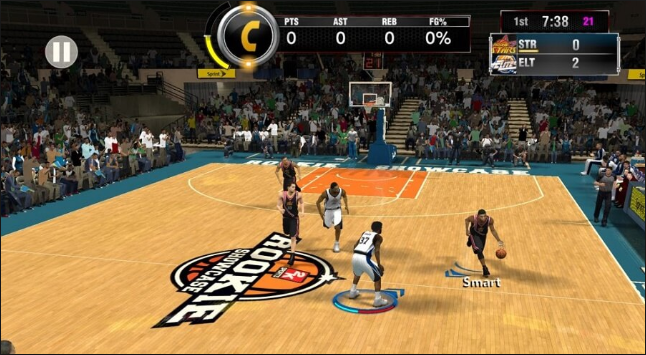 Compete in one-on-one or in eight-player tournaments to sharpen up your skills. You're able to customize your cue and table. In every competitive one-on-one match that you play, there are Pool Coins at stake. If you win the match, the coins are yours. You can use the coins to enter higher-ranked matches with bigger stakes or use them to buy new items in the Pool Shop. You can easily invite your friends to play by signing into your social media accounts. Watch Mario go in Super Mario Run! Super Mario Run is the simplified version of the classic Nintendo game where you can play the game one-handed. Mario runs across the screen automatically, and the user controls him by tapping the screen to jump at the appropriate times to navigate between platforms, avoid obstacles, bounce on enemies and collect coins. 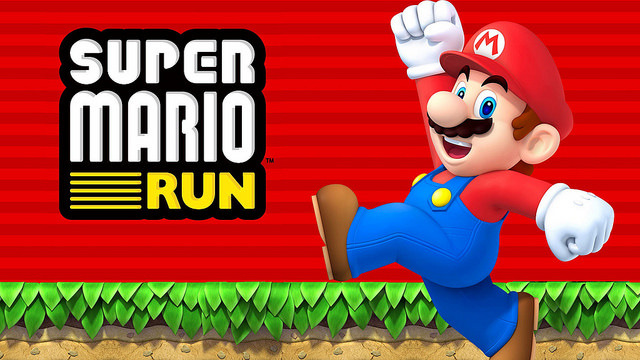 Though Super Mario Run has been out for iOS devices since last year, it just became available to Android users and is already one of the most popular Android games available. The Qualcomm Snapdragon 845 chip has already been unleashed, along with a number of other flagship smartphone SOCs for 2018 and let's face it, gaming is pretty much how most of us push these top tier processors and GPUs to the test in real life! On that note, here are three of last month's top games that you should be testing out on your shiny new smartphone. Candleman is not really a superhero but quite literally a candle with limited illumination time and two legs! The 3D platformer is fun to play as it blends in the elements of platforming and puzzle solving quite nicely, while being supported by some neat visuals as well. 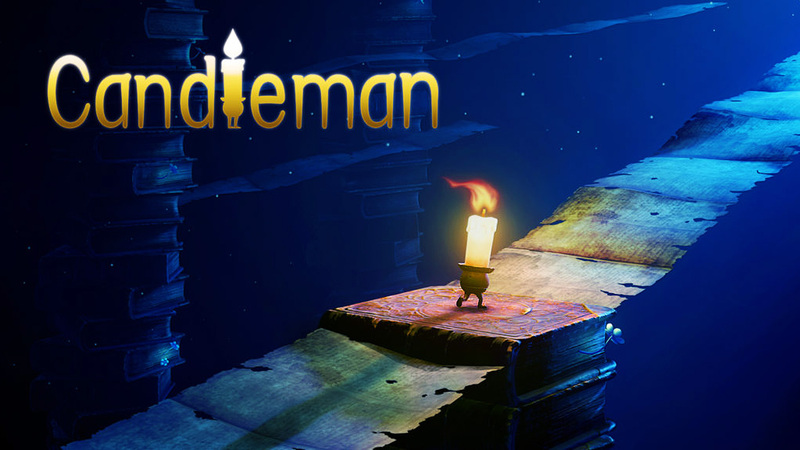 In fact, Candleman looks so good because it's originally a game that was made for the PC and consoles. Does the name sound German? It should, because it is. 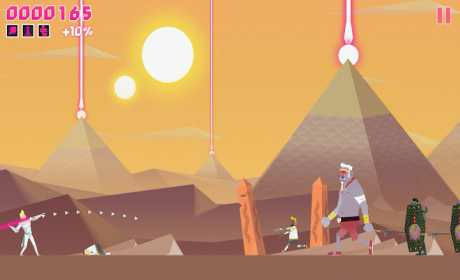 Lichtspeer means a spear of light and that's exactly what the protagonist throws at oncoming enemies, leading them to their gory and colorful deaths. 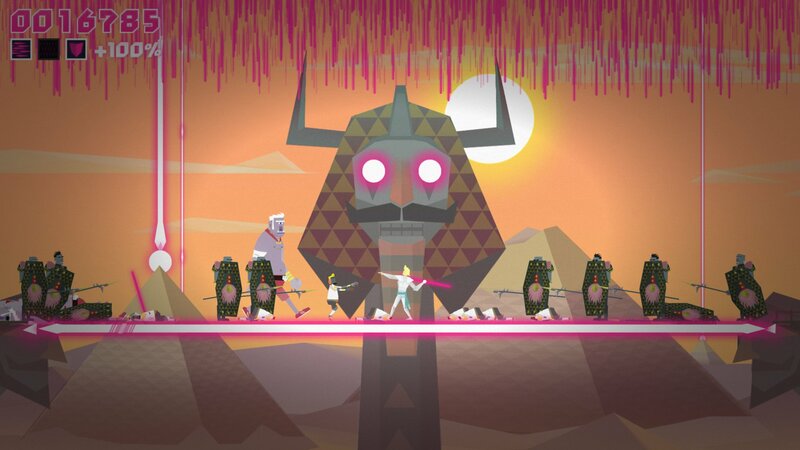 There's techno music, giant bosses and a whole lot of colors in Lichtspeer. To top it all off, the game actually is a whole lot of fun to play, while the entire setting is odd and funny. This is a must-play iOS game from March and hopefully, an Android release will also happen in the coming months. If you are still nostalgic about the old RPG games and especially the old JRPGs, you just have to play Evoland 2. The very fact that every stage of the game is designed to give you a hit of nostalgia by replicating some of the classic elements that fans will instantly remember is good enough to sell this, but it does one better by slowly evolving the in-game graphics from pixel art to low polygons that we used to see back in the days of the Dreamcast. That concludes our list of the top three paid games that were released last month, but if you are more in the mood for some games that will let you win real money instead of just in-game currency, head over to online UK games and try out your luck. They do have some interesting new games there as well. In case you are wondering why we only put paid games on this list, then that's because there will be another list soon which will consist of the top free-to-play Android games of March. The Samsung Galaxy S9 and the iPhone X are superpowered smartphones and if you own either one of those, chances are that you are itching to try out some new games to test all that horsepower. We have already published our list of the three best paid games from last month and if you have not checked that out yet, you should do so after reading this. Now, it's time to take a look at four of last month's best free games. Did you like Streets of Rage for the Genesis or do you have no idea what I am talking about? 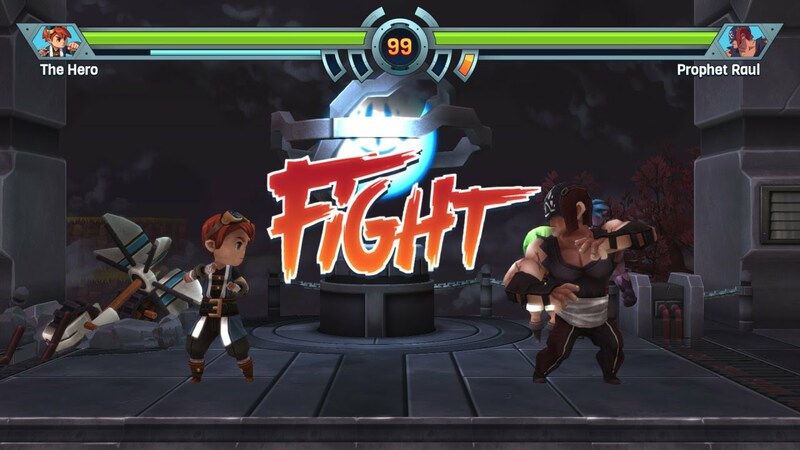 If you have played Streets of Rage, this game will instantly remind you of it and even if you have not, it's an awesome way to get introduced to the genre of beat-em-ups on mobile. Gorgeous visuals and fun gameplay with RPG elements keeps ChronoBlade Enjoyable for the players and of course, profitable for the developers. Heir of Light is an absolute spectacle of what the modern mobile phones can handle in terms of graphics and animation. 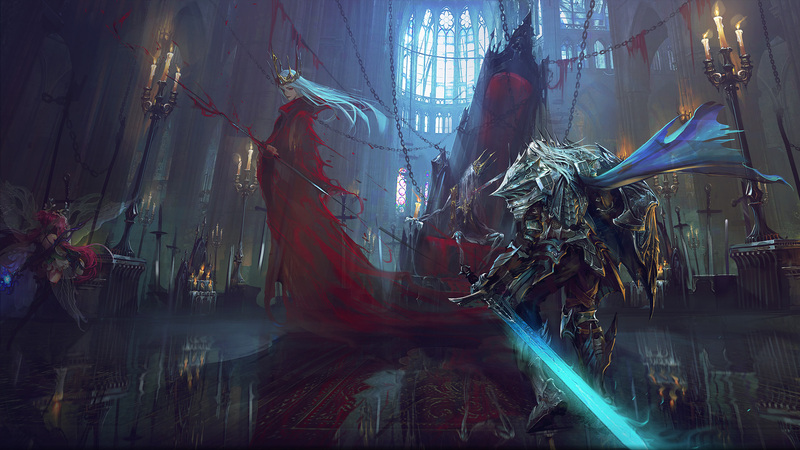 The social RPG or MMORPG is actually a JRPG, and while some have complained about it being a bit repetitive, that may change in the near future. As it's free, this game is worth trying out for the gorgeous visuals alone. 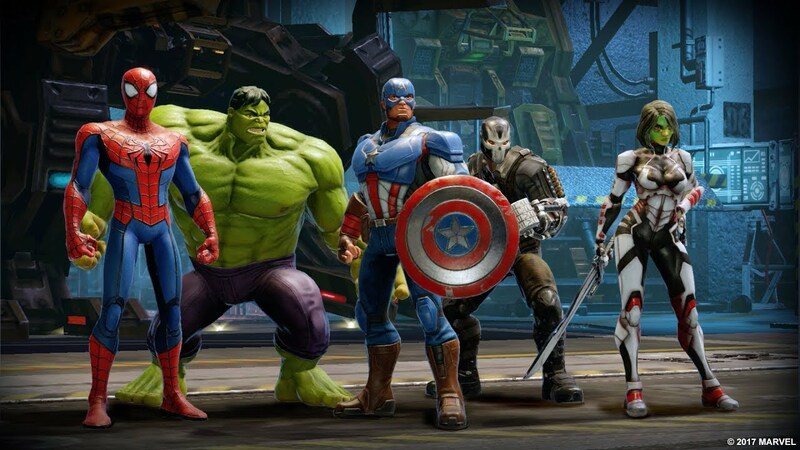 Another visual treat that lets you form your own Marvel superhero team and get them into fights with other teams in turn-based strategic combat; sounds amazing doesn't it? It actually is and the animations are nothing short of jaw-dropping in Marvel Strike Force. The last entry on this list is of course, Player Unknown's Battlegrounds Mobile because it brings the most popular multiplayer shooter of the recent times from the consoles and the PC to the smartphone and every fan of the genre absolutely love it. If you are wondering if it's the same game that you have already been playing on your console or PC, the answer is yes, it is! Even today's mobile games can be quite demanding, so just in case you are having trouble running the latest games on your old smartphone, it might be time to upgrade. However, power isn't the only thing to look for while buying a new model. Aside from the processors and the GPUs, you must also make sure that the smartphone in question is compatible with the frequencies on which the mobile networks in USA operate. The last thing you want is to end up with a smartphone that does everything well except taking calls! We have come to a point in mobile gaming where even the most popular titles such as PUBG and Fortnite are now available for smartphones. While many would argue that smartphone gaming is still just for casual gamers, the truth is that most of the people in the whole world play games on their smartphones and that's precisely why the games and the hardware on the platform is improving so fast these days. The month of October was a good month for Android gamers as a decent number of good titles were launched and here are four of the best ones from the last month. The yearly release from 2K Games is a good one this year and whether you are a newcomer or a returning player, you will enjoy the improved graphics and gameplay mechanics quite a lot. Unfortunately, the game has a $7.99 price of admission, as well as in-app purchases at the moment, which makes it hard to recommend. If you have played any of the two Reigns games before Game of Thrones, you will know exactly what to expect from the title. The lore from Game of Thrones is put into full effect in the game where the main gameplay concerns making right choices by either swiping right or left. It gets progressively more interesting as the scenarios keep changing and the plot thickens. It doesn't have any in-app purchases, but there is the one-time price of admission ($3.99). 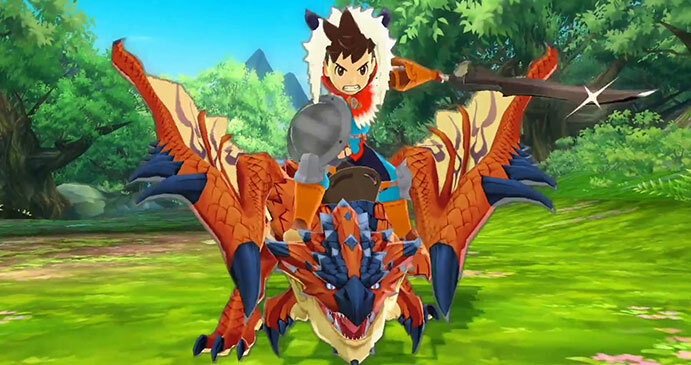 This game is like a dream come true for those of us that like Pokémon fights and the extremely successful Monster Hunter series. While the game plays like a Monster Hunter RPG should, the online battles are delightfully similar to Pokémon battles and that's a good thing! Whether you are a fan or not, do try out the game because it's available for free, but there's a $19.99 asking price to be paid if you want to continue playing it. Whenever I see the name Harvest Moon, it instantly makes me nostalgic. While consoles and the PC already has Stardew Valley to take care of any isometric farming/life sim demands that may come from their respective players, it wasn't until Harvest Moon: Light of Hope was ported to Android last month, that we had the option to play this super popular classic farming game on a smartphone. That's it for the best Android games from last month that you can download via the Play Store, but if you would rather try your luck at some brand new casino games, download the Casino Vegas app on your Android smartphone or tablet to get started. The app provides access to pretty much anything and everything related to online casinos. Do check out the BoVegas page to know how you can install the application on your phone since the Google Play Store doesn't allow any gambling apps unfortunately. We have more firmware updates for the Samsung Galaxy A3, S5 and many other smartphones today. The official ROMs are available for download from our firmware section, or you can click directly on the links below to get what you need. Be sure to check our our helpful tutorial first, unless you have prior experience in flashing firmware with Odin3. Brand new firmware updates for the Galaxy S6 Edge+, Galaxy S6 Edge and many other smartphones and tablets are on the daily update list today. 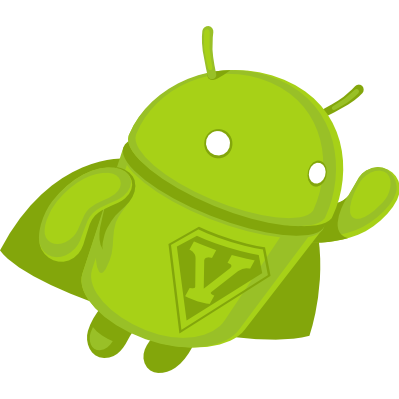 Go through our tutorial, download the right ROM and start with the updating. 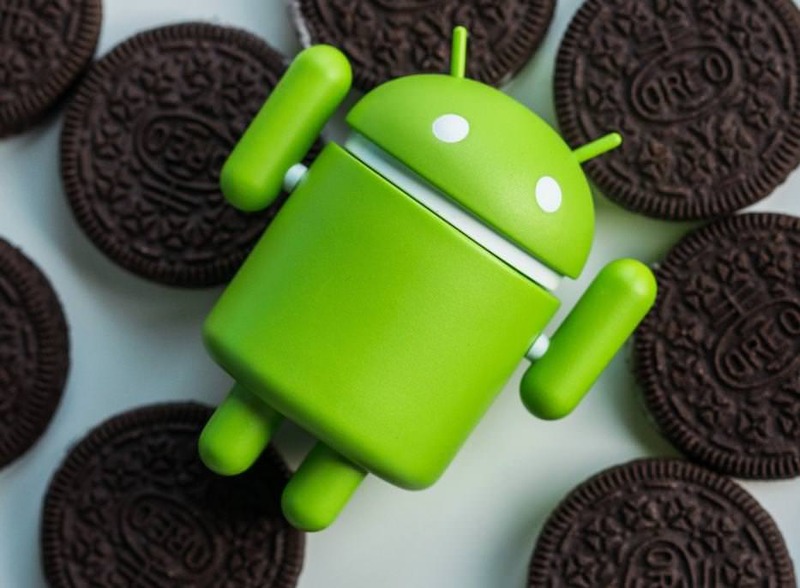 Here are the Android firmware updates for the day. Use ODIN 3 to manually flash them onto your Samsung smartphone after taking a look at this tutorial. Time to check out the latest firmware which we have for your Samsung devcies today. Go through our tutorial first if you are new to flashing custom ROMs or Android firmware updates with Odin3. All new firmware updates for your Android smartphones are here and to flash them, you only need to know how to use Odin 3. If you already know how to do that, then select your smartphone's model from the list below and get going. Just in case you don't, here's a tutorial that will teach you how to flash firmware updates manually. New firmware updates for your Samsung smartphones are here and to flash them manually, all you need to do is use Odin 3. If you already know how to do that, then select your smartphone's model from the list below and get going. Just in case you don't, here's a tutorial that will teach you all that you need to know. Guess what we have for you today! It's the firmware for Samsung's latest and greatest flagship handset; the Galaxy Note 8 (and many other models as well). Be sure to check our our helpful tutorial unless you have flashed firmware with Odin3 before. If you have a Galaxy S7 or S7 Edge then you will love our daily update list today as the two handsets are all over the daily update list today. There's also a lot more on the list and in our firmware section so do check them out as well. If you are not exactly experienced in flashing firmware updates manually onto your Samsung smartphones or tablets with Odin3, we have this helpful tutorial for you right here. The daily firmware updates for the day are here and if you see your Samsung device on the list, make sure you take a look at this tutorial before attempting to flash the ROM file. If your device is not on the list, head over to our firmware section and you are sure to find multiple updates for your Samsung device. The most current firmware updates for Samsung handsets both old and new are on our list of daily updates today, so all you need to do is go through this tutorial and start updating. Good luck. Old and new Samsung flagship handsets are on today's daily firmware updates list, but so are other Samsung smartphones from all ranges. Just pick the right firmware, go through our tutorial and begin updating your device right now. 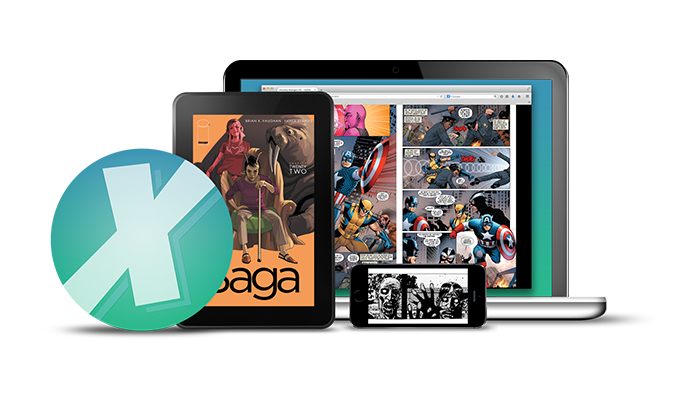 We have the latest updates for your Samsung smartphones and tablets over here. 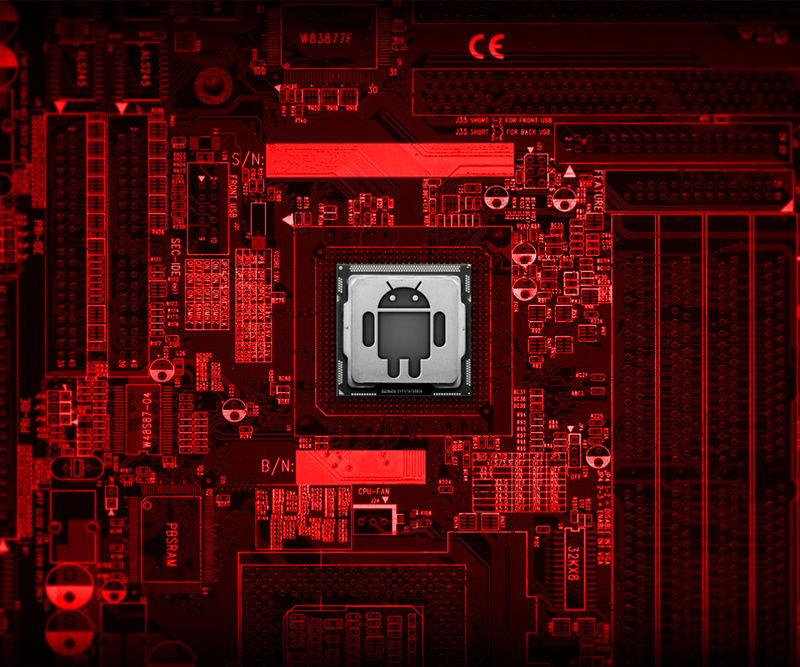 Do you know how to flash a custom ROM manually onto your device? If not, check out this tutorial before proceeding further. Today's firmware update list will cover the Galaxy On5, Galaxy A3, Galaxy Note 8, Galaxy A5 and many other Samsung smartphones. Even if you don't know how to use Odin3 for flashing custom ROM files yet, we have a tutorial to help you. Enjoy. Old and new Samsung smartphone models are on today's daily firmware updates list, so just pick the right firmware, go through our tutorial and begin updating your smartphone right now. These are the daily firmware updates for the day and if you see your Samsung device on the list, make sure you take a look at this tutorial first, before attempting to flash the firmware. If your device is not on the list, head over to our firmware section and you are sure to find multiple custom ROM updates for your Samsung tablet and smartphone. Enjoy! Old and new Samsung Galaxy Note models are on today's daily firmware updates list, so just pick the right firmware, go through our tutorial and begin updating your smartphone right now. In case you don't have a Note device, don't worry because we have the latest updates for just about every Samsung handset out there at our firmware section. the January security updates for the A3 (2017), Galaxy Note 5 and other Samsung smartphones are on today's daily firmware updates list, so just pick the right model, go through our tutorial and begin updating your smartphone right now. Exciting daily firmware updates for the day are here and if you see your Samsung device on the list, make sure you take a look at this tutorial before attempting to flash the ROM file. If your device is not on the list, head over to our firmware section and you are sure to find multiple custom ROM updates for your Samsung device.